Pip & Nut’s Crunchy Peanut Butter is made from just-roasted high-oleic Argentinian peanuts and a sprinkling of sea salt. That’s it. Naturally nutritious and ridiculously tasty, this nut butter can be eaten for breakfast, lunch or dinner. 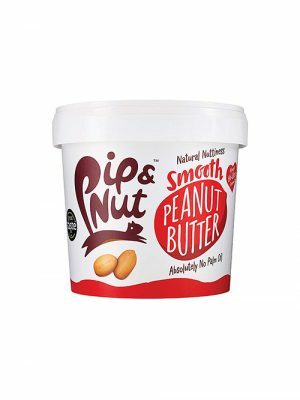 Pip & Nut’s Smooth Peanut Butter is made from just-roasted high-oleic Argentinian peanuts and a sprinkling of sea salt. That’s it. Naturally nutritious and ridiculously tasty, this nut butter can be eaten for breakfast, lunch or dinner.